Sandesh, with or without chocolate, will be taxed at 5 per cent, the government clarified on Thursday along with the goods and services tax (GST) rates for other items, including rakhis, idli-dosa batter and kulfi. However, ambiguity persisted over whether the tax rate for plastic furniture would be 28 per cent as furniture or 18 per cent as plastic items. The sharp jump in tax on car leasing is also expected to be taken up in the GST Council meeting on Saturday. “Sandesh, whether or not containing chocolate, will attract 5 per cent GST,” the government clarified on Thursday. 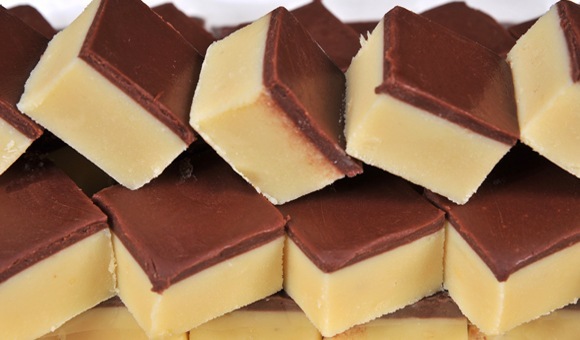 The clarification comes amid reports that sweet shops have discontinued chocolate barfis and chocolate sandesh. 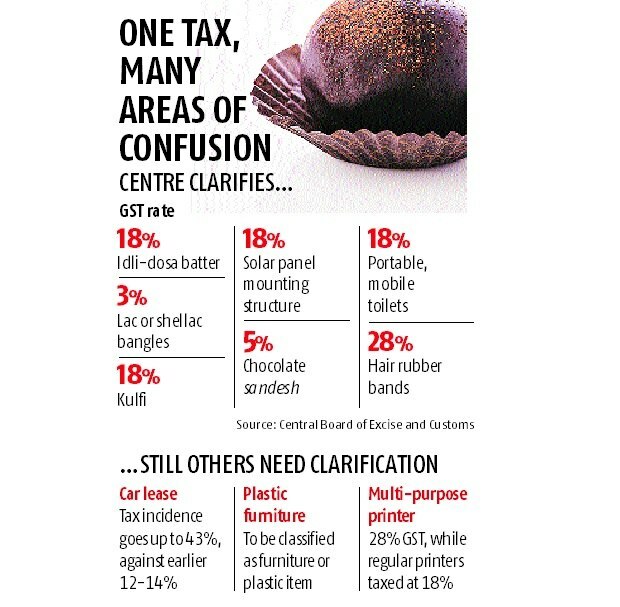 The GST rate on chocolates is 28 per cent and Indian sweets are taxed at 5 per cent. Although milk is exempt in the GST, khoya, or concentrated milk, will attract 5 per cent GST. “Sweet shops in Kolkata were in panic over different GST rates based on the types of sweets and ingredients. Now the government has clarified that the GST rate on all Indian sweets is 5 per cent,” said Archit Gupta, founder and chief executive officer of ClearTax. The GST was implemented on July 1 and subsumed most indirect taxes such as excise duty, service tax and value-added tax. The government also clarified that kulfi — the Indian frozen dessert — would attract 18 per cent GST, like ice-cream. Besides, idli-dosa batter would attract 18 per cent GST under the food mixes category, it said. There would be no GST on regular rakhis but fancy bracelets would be taxed according to their material, the government said days ahead of Raksha Bandhan. “Rakhi, which is in the form of kalava (raksha sutra) will attract nil GST, but any other rakhi would be classified as per its constituent material,” the clarification said. Rubber bands to tie hair will attract the highest GST rate of 28 per cent. Any prefabricated building, including portable and mobile toilets, will attract 18 per cent GST. Solar panels and modules will attract 5 per cent tax, but their mounting structure made of iron, steel or aluminum will be taxed at 18 per cent. “We hope for clarity by the GST Council soon. Plastic chair manufacturers are charging 18 per cent GST, ideally these should be classified under furniture,” said M S Mani of Deloitte. The tax burden on car leasing firms has gone up to 43 per cent, including a 15 per cent compensation cess, from the earlier incidence of 13-14 per cent. “There are many options before the government to address the car leasing issue. Either the rate itself can be reduced for existing leases or refund of Central GST and compensation cess paid can be granted,” said Pratik Jain of PwC. Besides, multi-purpose printers, with fax and photocopy, have been put in the 28 per cent category, against 18 per cent for printers. “Clarity is needed for many items such as movie halls. Local bodies are allowed to levy their own tax, thus bringing the total tax to 58 per cent in states like Tamil Nadu. There is still no clarification regarding various state tax holidays and benefits enjoyed by many industries,” said Gupta.